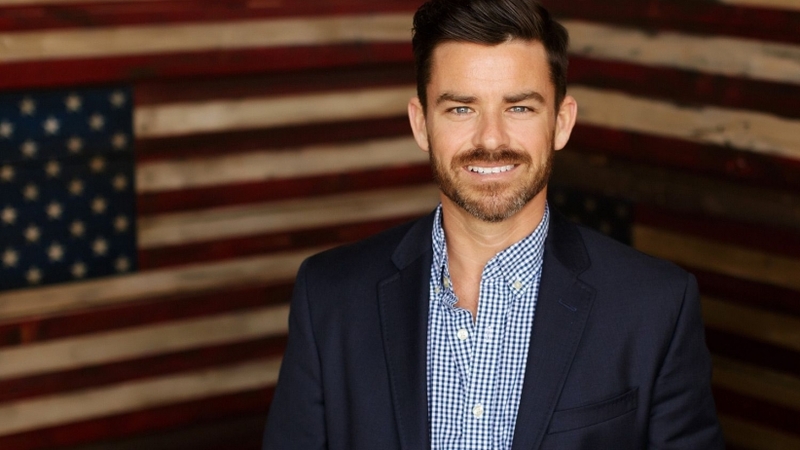 Brian Steorts' veteran group launched Flags of Valor to bring jobs to ex-military. 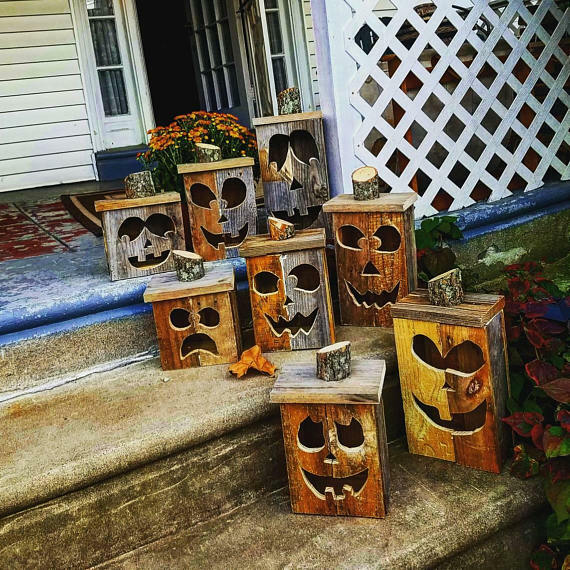 It's turning them into real woodworking craftsmen, too. Profiled in this month's Entrepreneur magazine, Steorts was a paratrooper with the 82nd Airborne. 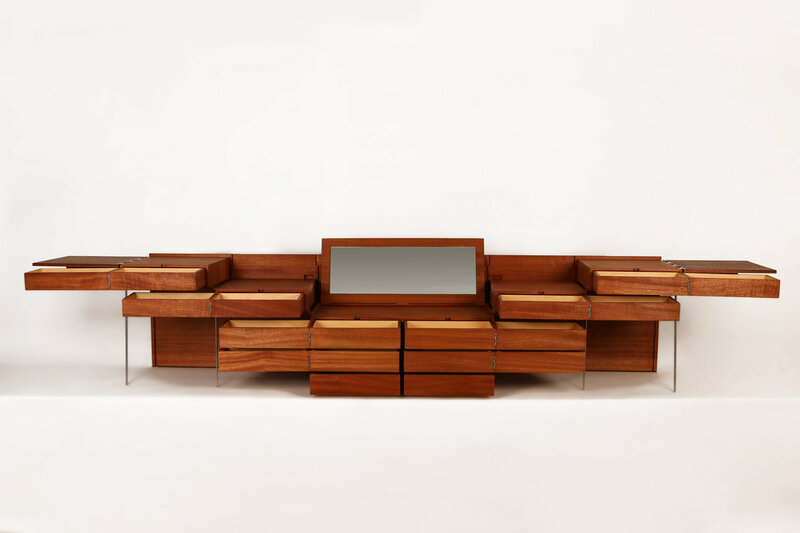 As he recuperated from combat injuries, he decided to move into woodworking, with something that became an obsession. He was also motivated to produced something "Made in America." Steorts says veterans who come to work at Flags of Valor develop deep skills in wood craft and finishing. The Ashburn, Virginia company has also received strong support from DeWalt. 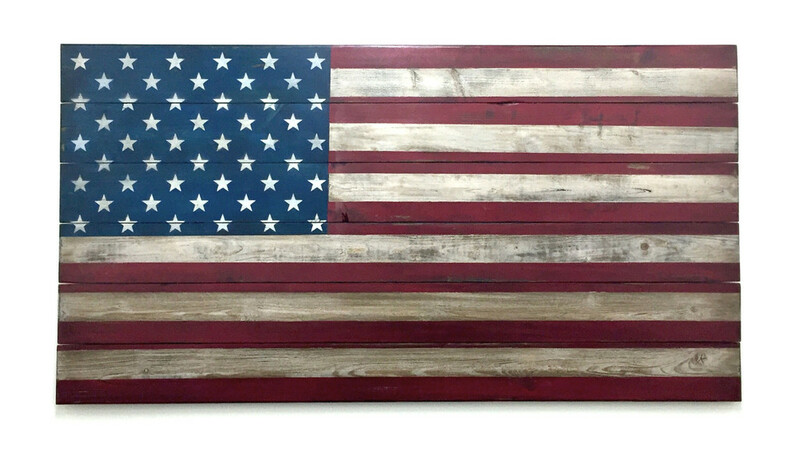 The flags are classic styles of U.S. flag rendered in antiqued paid and carved or on pine boards layed up into panels. Flags are sold at prices ranging from $149 to $399, through a website built on the Shopify e-commerce system. 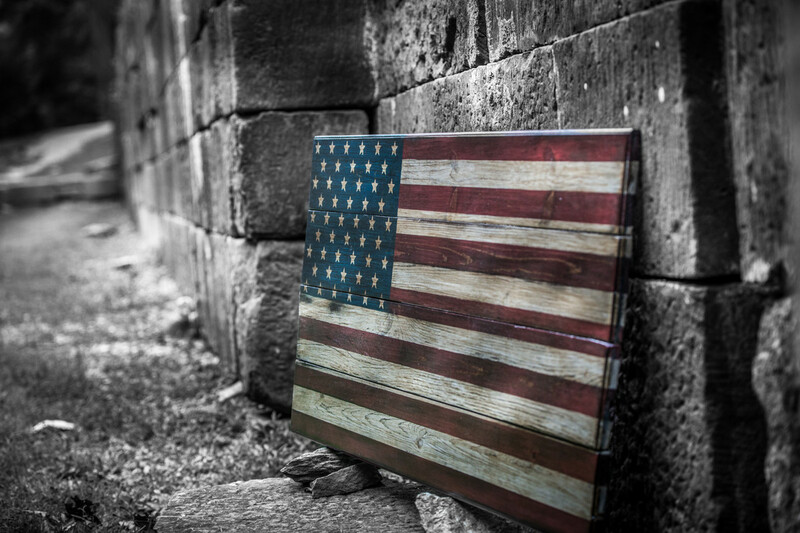 Every flag begins its journey as raw wood specifically sourced from southern pine forests. 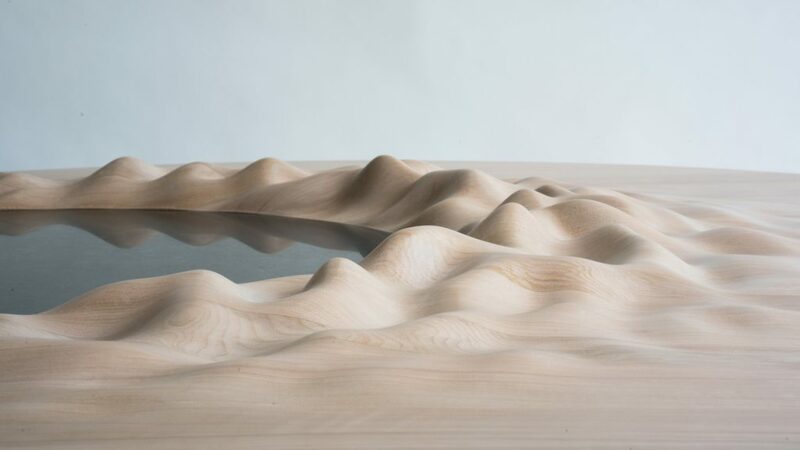 Our artists hand select each plank for its grain, knots, and natural characteristics, then assemble into a blank canvas. Once the reverse is stained, they transition to the fine detail work of painting the 13 stripes, laying out the blue union, and delicately filling the field of stars. Each flag then goes through a lengthy antiquing process to highlight the intricacies of the wood until it is finally finished with polyurethane to protect it for many years to come. The "First Responder" is an extra large 50 Star American Flag and it is 100% handmade...from start to finish it's cut, assembled, and finished by American Combat Veterans. 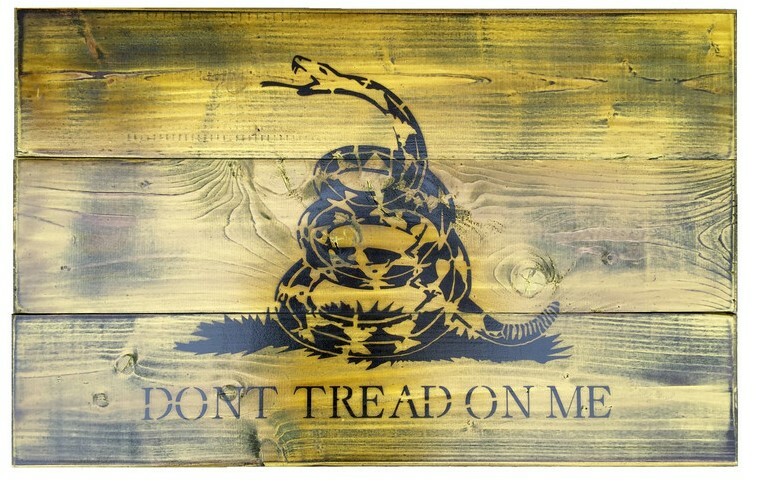 The Gadsden flag is a historical American flag with a yellow field depicting a rattlesnake coiled and ready to strike. Positioned below the rattlesnake are the words "Don't tread on me". The flag is named after American general and statesman Christopher Gadsden (1724–1805), who designed it in 1775 during the American Revolution. Brian Steorts at Flags of Valor.